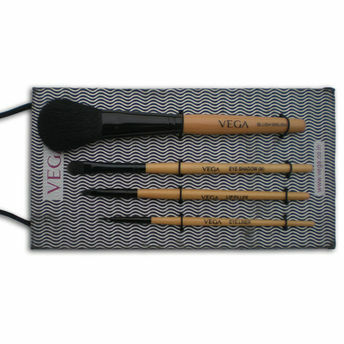 This Set of 4 Vega Make-up brushes having 4 unique and essential brushes. Made with natural hair. 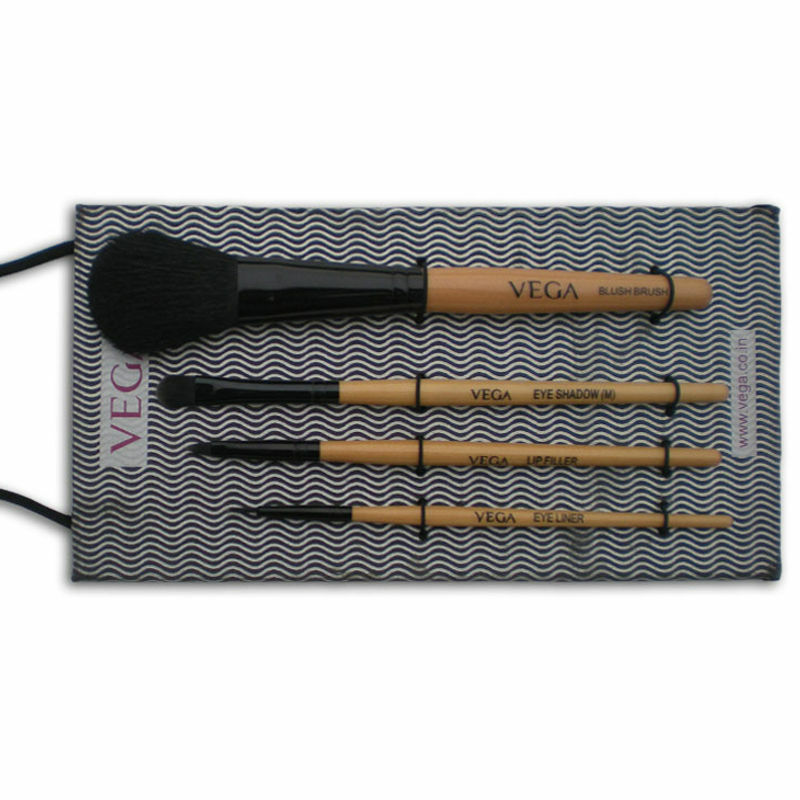 This brush set is compact and easy to carry in purse while traveling or out from your home. This brush has been designed for the even spreading and blending of eye shadow. Use this brush when applying liquid eye liner. It makes the application so much easier and you will be able to apply a neat clean line.